Though it has never been used in a terrorist attack, the supposed usefulness of the deadly poison ricin in such operations continues to generate headlines and terrorism charges, the latest coming in Durham County, England. Dubious reports of ricin experiments conducted by Ansar al-Islam in northern Iraq in 2002 were followed by U.S. Secretary of State Colin Powell’s assertions to the U.N. Security Council in February 2003 that an al-Qaeda laboratory in Georgia was creating ricin-based weapons under the direction of the late leader of al-Qaeda in Iraq, Abu Musab al-Zarqawi. The uneducated Zarqawi was given credit for doing in a rude shed what a number of well-funded and sophisticated Western weapons laboratories were unable to do in years of effort – weaponize ricin. Since the poison cannot be absorbed by the skin, it is necessary to have victims either ingest or inhale the ricin. Since only the latter would be practical for a weapon, numerous attempts were made by weapons laboratories in the 20th century to aerosolize ricin, all meeting with disappointing results. Once Sarin gas and other nerve agents became available, further research into the use of ricin as a weapon was abandoned (apparently except for a KGB lab that developed a complex means of surreptitiously injecting ricin into a victim’s bloodstream – used only once on Bulgarian dissident Georgi Markov in London in 1978). 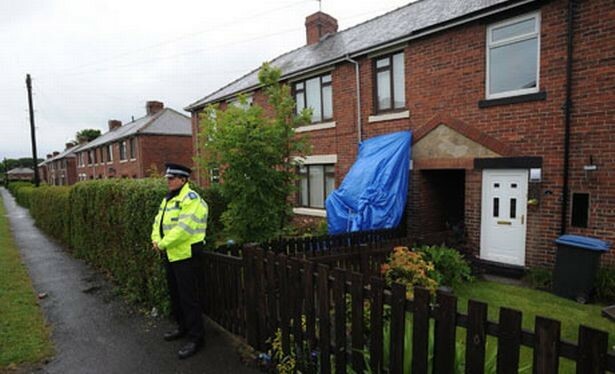 A 41-year-old lorry driver and his 18-year-old milkman son were arrested under the UK’s Terrorism Act 2000 after June 2 raids on their homes in the Durham County villages of Burnopfield and Annfield Plain (Independent, June 5). Tests in a government laboratory in Edinburgh revealed traces of ricin in a sealed, airtight jam jar kept in a kitchen cupboard. The material was sent for further tests at the Ministry of Defence establishment in Porton Down. Police assured the public that “no one is believed to have been exposed to the substance or be at risk of any potential ill-effects. We do not believe that there is any risk to public health” (Independent, June 5). According to Durham’s assistant chief constable, “This shows that the terrorist threat in the UK is real” (Times, June 6). The London tabloid Daily Express reported that the traces of ricin in the jam jar were “intended for use as part of a biological weapon against blacks and Asians” (Daily Express, June 6). The tabloid failed to mention that no such weapon yet exists, nor did it suggest how the suspects, of limited means and education, were to develop such a weapon. Nevertheless, the “biological weapon” was being reported the next day in India under the headline, “UK poison plot against Asians, blacks, busted” (Times of India, June 7). Britain’s Independent linked the poison to al-Qaeda without mentioning the fascination right-wing extremists have with ricin, surely more relevant in the case of two alleged white supremacists. To underscore the alleged threat, the newspaper stated ricin as the agent used in the March 1995 attack on the Tokyo subway by the Aum cult that left 12 dead, when in fact the agent was Sarin gas (Independent, June 5). The 18-year-old suspect, Nicky Davison, was charged with possessing information useful to committing a terrorist act on June 9 and released on bail (BBC, June 9). 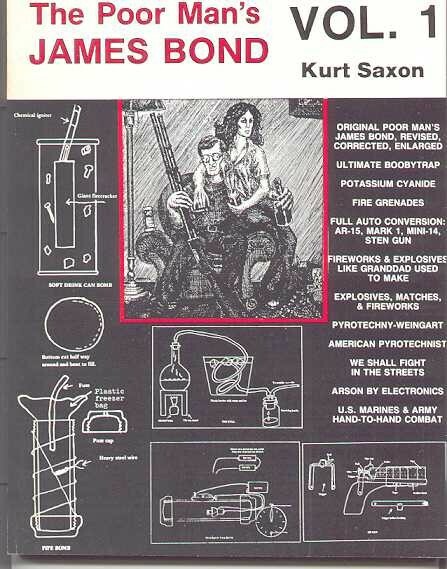 The manual police described as containing information and instructions on the use or production of firearms, explosives and chemicals was a volume of The Poor Man’s James Bond, a four volume work by Kurt Saxon directed at American survivalists and militia members. First published in the 1970s, the volumes describe how to manufacture weapons, set booby traps, make explosives and develop poisons, including ricin. Davison has been charged with disseminating the work, though it is easily available from book-retailing websites and right-wing extremist sites alike (Northern Echo [Darlington], June 13). Earlier this month a small pile of white powder found on a table near the ROTC office at Utah’s Salt Lake University caused a small panic due to fears it may have been ricin. Over 200 people were ordered out of the building while National Guard units and Hazmat crews tested for ricin. The powder was also tested for anthrax, radioactivity and various biological viruses, all coming up negative. Early reports indicated the two teaspoons of powder looked similar to baby formula (KUTV.com [Salt Lake City], June 4; Salt Lake Tribune, June 4; Deseret News [Salt Lake City], June 13). And in Washington State a man has been charged with trying to poison his wife with ricin after traces were found in her urine. The suspect explained to police he had bought the ricin to exterminate moles in the family yard (UPI, June 9). Though newspapers are often fond of noting ricin is 6,000 times more poisonous than cyanide, most internet recipes for homemade ricin from castor beans produce, at best, a highly diluted concentration of ricin that would need to be consumed in large amounts to create a fatal dose. Aleksandr Litvinenko: An Islamist Threat? One of the most surprising elements in the recent poisoning of the former FSB officer Aleksandr Litvinenko is his apparent deathbed conversion to Islam. At first, there seemed little reason to believe this unlikely development, but the gradual confirmation of the story has raised a number of questions regarding Litvinenko’s cooperation with the Chechen resistance and, in a more sensational vein, with Osama bin Laden’s al-Qaeda terrorist organization. The first notice of Litvinenko’s conversion to Islam came in a press release from the Chechen Presidential Administration after the death of the former spy: “We have learnt that shortly before the attempt on his life, Aleksandr Litvinenko voluntarily and sincerely converted to Islam. Thus, he not only became our comrade-in-arms but also brother-in-faith” (Chechenpress, November 26). Though the source was not given for this unexpected development, it was eventually revealed that this news came from the Chechen representative in London, Akhmed Zakayev, a personal friend and neighbor of Litvinenko. News of the conversion apparently took several of Litvinenko’s friends by surprise. There seemed little reason to believe this strange tale until it was confirmed by the spy’s father, Walter Litvinenko, who described his son’s growing estrangement from Russia’s Orthodox Church. Two days before his death, Litvinenko told his father that he had decided to convert to Islam and desired to be buried as a Muslim (Kommersant, December 4). Zakayev said that Litvinenko first broached the subject of conversion shortly after he became ill, returning to the topic repeatedly despite a lack of encouragement from Zakayev. Eventually, Litvinenko recited the shahadah, a formula whose recitation indicates the speaker’s willingness to convert to Islam. At Litvinenko’s urging, Zakayev arranged for an imam to recite the appropriate Koranic verses in the hospital room the day before the spy’s death (RFE/RL, December 5). There was initial confusion as to what constituted a lethal dose of polonium-210. If the Litvinenko poisoning was indeed the work of Russia’s secret services, it is unlikely that such an unusual method of assassination would have been employed without previous testing. In a recent interview, Zakayev alleged that polonium poisoning had already been carried out on several high-profile Chechen prisoners, including Lecha Islamov (Frankfurter Allgemeine Sonntagszeitung, December 3). The reference is undoubtedly to veteran field commander Lechi (‘The Beard’) Islamov, who had worked closely with the warlord Ruslan (Hamzat) Gelayev. Both hailed from the same town of Komsomolskoye in southwestern Chechnya. As the leader of the “Shaykh Mansur Special Task-Force Regiment,” Islamov was captured in 2000 following the siege of Grozny and was sentenced to nine years in prison for seizing hostages and “organizing an armed group.” The Russian Deputy Minister of Justice maintained that Islamov died in 2004 from heart and kidney diseases, as well as from the complications brought on by a “severe skin allergy” (Grani.ru, April 26, 2004). Islamov, however, was convinced that he had been poisoned, describing a meeting that he had attended in prison with several unknown men. The men seemed intent on discussing matters of “life and death” with Islamov while urging him to partake in tea and a pile of sandwiches. Within minutes after the meeting, Islamov became seriously ill, though he did not receive medical attention for days, and instead, was transferred to another prison. According to Islamov’s attorney, the commander began to suffer from organ failure. Some of the symptoms of Islamov’s last days resemble those endured by Litvinenko. His attorney provided a description: “He cannot speak or move, has become absolutely bald, lost his hair, beard and eyebrow hairs, skin is peeling off in pieces from his head and hands” (Kommersant, April 4, 2004). Doctors were unable to diagnose the disease that was quickly killing Islamov or devise any treatment. Zakayev alleges that it was only because of Litvinenko’s extraordinary good health that allowed him to survive long enough for the radioactive poison to be discovered; the poor health of the past victims resulted in their death within ten days. Traces of polonium-210 have also been found in Zakayev’s car. Zakayev, who serves as the representative of the Chechen republic in London, has been the subject of several extradition attempts by Moscow on charges of murder, abduction and torture. Russian allegations have tended to be so spurious that they have been tossed aside by British judges. For instance, an Orthodox priest that Zakayev is alleged to have killed actually turned up to challenge allegations of his own murder. There are reports that Russia will now require the extradition of Zakayev and exiled Russian oligarch Boris Berezovsky in return for Russian cooperation in the investigation of Litvinenko’s death (The Times, December 6). After the news of his conversion broke, a number of media sources retroactively elevated Litvinenko to the ranks of the “Islamist extremists” who threaten the West as well as Russia. Britain’s Sunday Express tabloid reported that Scotland Yard and counterterrorism experts feared that Litvinenko was assisting al-Qaeda in building a radioactive “dirty bomb” (Sunday Express, December 3). A televised panel of Russian “nuclear experts” claimed that Litvinenko worked in an underground laboratory in London where he was preparing a “dirty bomb” on behalf of the Chechen extremists (NTV, December 3). A news agency also suggested that Litvinenko actually poisoned himself by handling polonium-210, the last ingredient needed to detonate a “dirty nuclear bomb” (RIA Novosti, December 5). 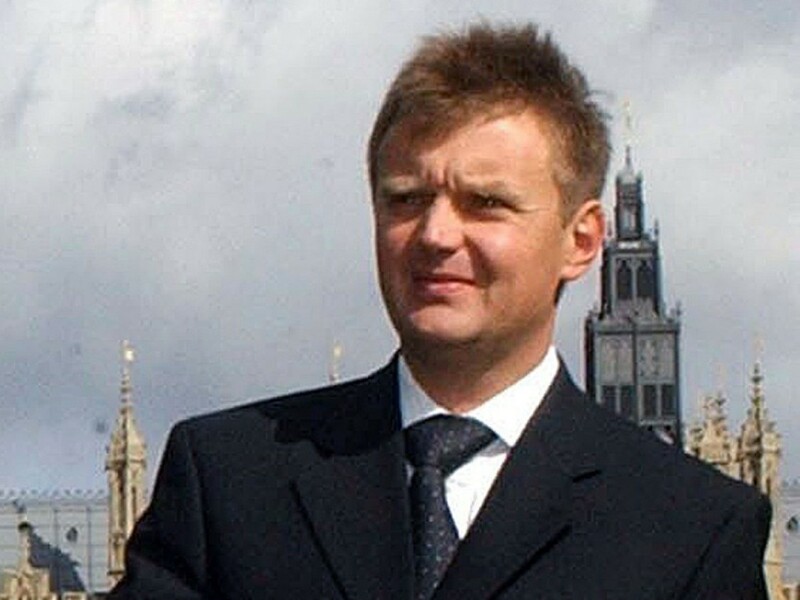 Another Russian agency repeated the “dirty bomb” allegations while adding the accusation that “Anglo-American” security forces were planting traces of polonium around London to implicate Russia in Litvinenko’s death (Isvestiya, December 5). The Washington Times asked whether Litvinenko’s assassination might have been “just another revenge killing in the name of Allah?” (Washington Times, December 5). Less credible internet sources have even revived the long discredited allegations that Osama bin Laden had purchased a number of “suitcase nukes” from Chechen militants for use against the United States. These stories speculate that Litvinenko was working on polonium-based triggering devices for these weapons and had failed to clean traces of polonium from his fingers before going out for a sushi lunch. As usual, many media sources seem unable to differentiate between nuclear bombs and “dirty bombs.” The latter is a primitive weapon involving no nuclear reaction, just the dispersal of radioactive debris. Polonium-210 was used as part of the triggering devices on early nuclear weapons, but is no longer used for this purpose. A “dirty bomb” does not require a sophisticated trigger as it is simply radioactive waste wrapped around a conventional explosive; polonium-210 is not a very useful material for constructing “dirty bombs.” A 1957 fire at a Cumbrian nuclear facility in England released enough polonium-210 to kill thousands of people if ingested, but the isotopes dispersed quickly and harmlessly in the air. The point of a “dirty bomb” is not so much to kill individuals (conventional explosives are much better for this purpose) but to create lasting contamination, public panic and economic damage. Polonium is not regarded as particularly dangerous unless inhaled or ingested in a significant quantity. A sheet of paper is enough to block the radioactive alpha rays and even human skin can be enough to prevent penetration into the body. Despite Litvinenko’s talents in the world of espionage, it is highly unlikely that he would have been capable of maintaining and repairing complicated nuclear weapons, such as portable “suitcase bombs” in a basement laboratory in London. Assumptions of this sort belong to the world of paperback thrillers. Many of the imaginative stories regarding the “Islamist threat’ posed by Litvinenko are designed to sell newspapers, but other accounts seem designed to discredit the former KGB member and divert attention away from his assassins or even to justify their deed as being in the interest of public security. With Russia once again threatening pre-emptive strikes on “terrorist” installations in Georgia’s Pankisi Gorge, it seems timely to re-examine the alleged activities of Jordanian terrorist Abu Musab al-Zarqawi in the region several years ago. The Pankisi Gorge is a river valley about 34 km long in north-eastern Georgia. It is home to about 10,000 Kists, belonging to the same ethnic group as the Chechens and Ingush. After the outbreak of the second Russo-Chechen war in 1999, eight thousand Chechen refugees joined the Kists there. Arriving later were Chechen field commander Ruslan Gelayev and the survivors of the Battle of Komsomolskoye (site of a major Chechen defeat). 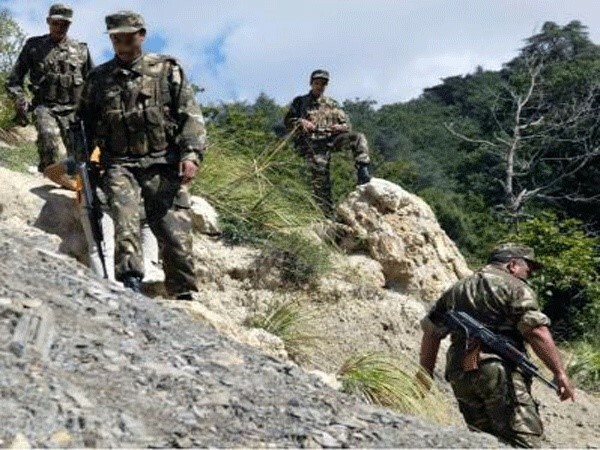 Gelayev chose to rebuild his forces in the Pankisi Gorge; with Georgia engaged in a struggle with Russia over the breakaway provinces of Abkhazia and South Ossetia there was little danger of extradition. By 2002, unsubstantiated reports began to emerge of al-Qaeda leaders taking refuge in the Gorge after the fall of the Taliban in Afghanistan. Russian Foreign Minister Igor Ivanov even suggested Bin Laden himself might be in the Pankisi Gorge. Russia wished to focus international attention on the Gorge, where Gelayev had built up a significant armed force of 800 Chechens, together with about 80 international mujahideen, mostly Turks and Arabs. Georgian authorities pretended to be ignorant of their presence, despite having negotiated a deal to supply and arm Gelayev’s force in return for a little extra-curricular combat on behalf of Georgia in Abkhazia in 2001. In his pre-Iraq invasion address to the United Nations Security Council Secretary of State Colin Powell declared that “we know that Zarqawi’s colleagues have been active in the Pankisi Gorge, Georgia, and in Chechnya, Russia. The plotting to which they are linked is not mere chatter. Members of Zarqawi’s network said their goal was to kill Russians with toxins.” Powell emphasized the production of ricin as a major threat, and the importance of Zarqawi as a master poisoner. Abu Atiya (Adnan Muhammad Sadik) was named by Powell as the leader of al-Qaeda’s Pankisi operations and part of Zarqawi’s network. In July 2002, there were reports that the CIA had warned Turkish officials that Abu Atiya had sent chemical or biological materials to Turkey for use in terrorist attacks. Georgian raids started in February 2002, while the main security “crackdown” in Pankisi was carefully timed to follow the September 2002 departure of Gelayev’s forces for Russian territory. At the end of the security sweep in October, fifteen minor Arab militants were turned over to the U.S. The operation marked the first deployment of Georgian graduates of the Train and Equip program, a U.S. initiative to train a core professional army for Georgia. No evidence of chemical labs was discovered, though Georgia cautiously conceded that some militants in the Pankisi Gorge “may” have been chemical weapons experts. There seems little reason for Zarqawi to move to the Pankisi Gorge, which makes a useful base for striking into Chechnya but is remote from Middle Eastern operational environments. The languages in the region are unfamiliar to most Arabs and the militants in Pankisi under the command of Ruslan Gelayev were nearly all bound for Chechnya. Gelayev feuded constantly with Islamist commanders in the Chechen resistance, and would be unlikely to have taken orders from Arab Islamists. Indeed, the entire story conflicts with the usual account of Zarqawi being wounded in Afghanistan and receiving medical treatment in Baghdad before joining Ansar al-Islam in the north. In the buildup to the Iraqi war in early 2003, dozens of North Africans (mainly Algerians) were arrested in Britain, France and Spain on charges of preparing ricin and other chemical weapons. Colin Powell and others trumpeted the arrests as proof of the threat posed by the Zarqawi-Chechen-Pankisi ricin network (which had now been expanded to include the Ansar al-Islam of Kurdish northern Iraq). Responding to the arrests in Britain and France, Russian Defense Minister Sergei Ivanov stated that the suspects had been trained in Georgia’s Pankisi Gorge, where al-Qaeda laboratories were manufacturing ricin. 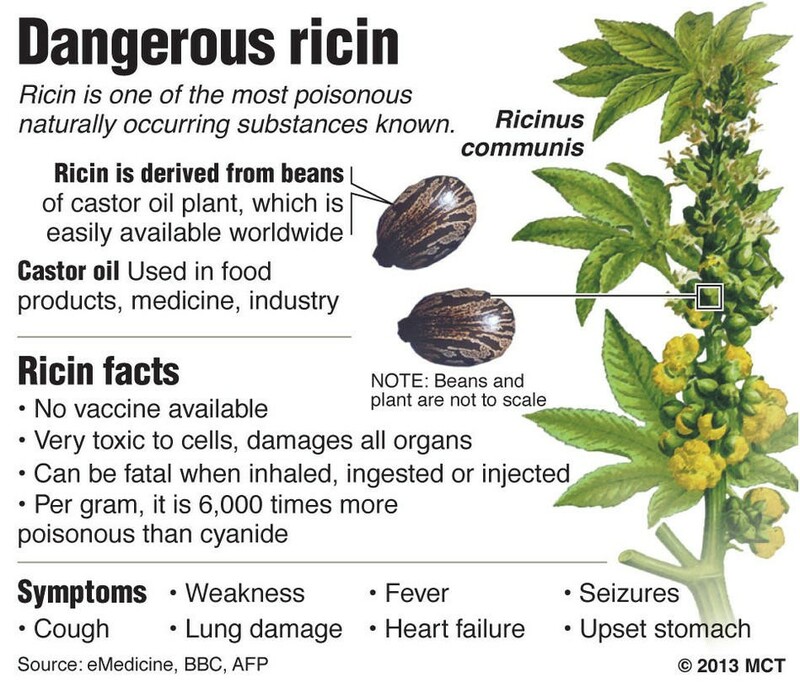 Few bothered to question why anyone would set up a ricin lab requiring large numbers of castor beans for the production of even a tiny amount of purified ricin in a region with no native castor plants. French Judge Jean-Louis Brugiere (a leading anti-terrorism official) led the attack against what came to be known as the “Chechen network” declaring that “the Chechens are experts in chemical warfare. And Chechnya is closer to Europe than Afghanistan.” The “Chechen network” was curiously devoid of Chechens: nearly all the suspects were Algerian. Despite the outcome of the European cases, the myth of the ricin-producing “Chechen network” took hold. Chechen Brigadier General Rizvan Chitigov is the only Chechen leader who appears to have taken an interest in chemical weapons, and is frequently accused by the FSB of planning chemical operations against Russian troops. In 2001, leading FSB officials cited “serious grounds for suspecting him to be a CIA agent.”  Last October, Chechen police discovered two kilograms of mercury, which they claimed Chitigov intended to use to poison a water intake facility. By August 2002 reports were emerging that Ansar al-Islam were experimenting on animals with aerosolized ricin under Zarqawi’s direction. 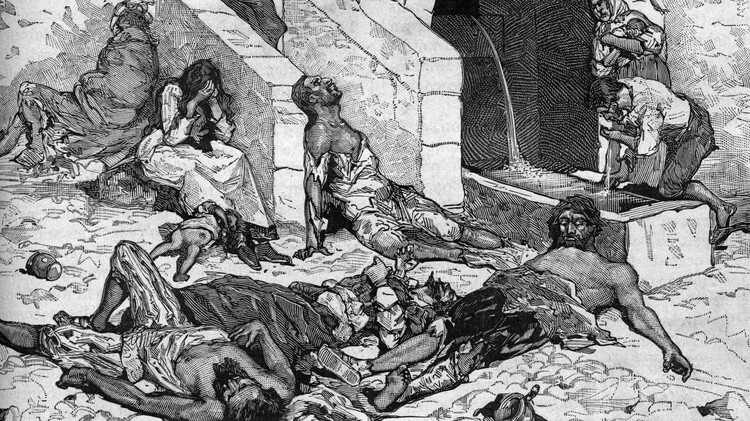 Aerosolization is the only method of delivering lethal doses of ricin to large numbers of people, but requires a great deal of specialized equipment and expertise, certainly far beyond the limitations of a primitive lab. Ricin cannot be absorbed through the skin and was abruptly dropped from most state weapons programs as soon as the more lethal Sarin nerve gas was developed. Despite its potency, no effective method has yet been devised for the mass distribution of ricin. The weaponization of ricin is sufficiently complex that it almost precludes such use by non-state parties. Jordan’s King Abdullah II referred to Zarqawi as a “street thug” last July, adding that the media had inflated Zarqawi’s intelligence and skills to create a larger threat. Jordanian security services claimed the attempted attack was a chemical assault using nerve gas and blister agents, capable of killing 80,000 people. No evidence was presented, and even Zarqawi refuted the use of chemical agents in the plot. 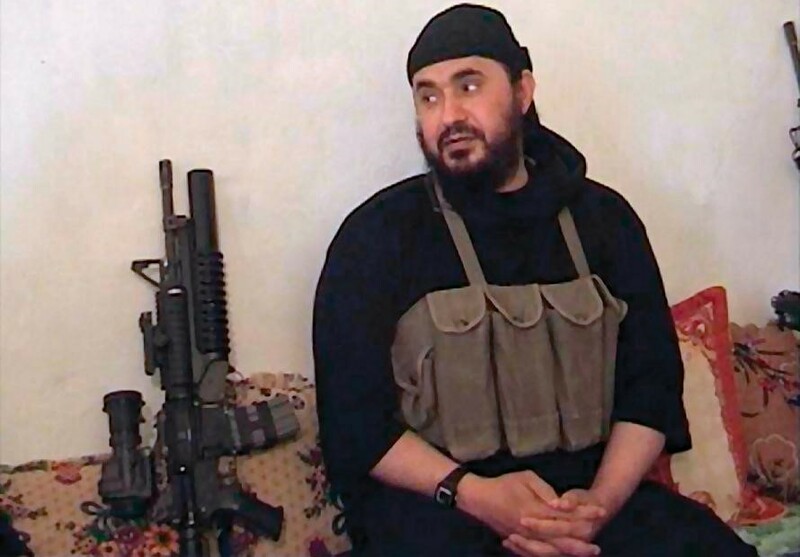 Zarqawi’s career has followed the path of high-school dropout, failed video retailer, prisoner and gunman. It is thus impossible to identify how or when Zarqawi became an expert in chemistry. Last month Russia claimed that Abu Atiya (together with Abu Hafs “Amjet” and Abu Rabiya) commanded 200 Chechens and 30 Turkish “mercenaries” in Pankisi, though there is no explanation of how Abu Atiya, who was arrested in Azerbaijan in September 2003, has returned to action. Georgia continues to deny the presence of any Chechen or Arab militants in the Gorge, calling Russian statements “a provocation.” Meanwhile Abu Musab al-Zarqawi remains central to the disinformation campaigns that obscure our understanding of Islamist terrorism. “FM: Bin Laden could be in Caucasus”, Associated Press, Feb. 17, 2002. “The strange case of the dangerous detergent” New Statesman, April 14, 2003, By Justin Webster, “Ricin scare in Paris is false alarm,” AP, April 11, 2003. Russian Public TV (ORT), Interview with Nicolai Patrushev and Aleksandr Zdanovich, April 18, 2001 (BBC Monitoring, April 19, 2001). Translation from “‘Zarqawi tape’ says non-chemical attack planned on Jordanian intelligence”, AFP, April 30, 2004. “Al-Zarqawi denies the Jordanian version over the chemical attack”, Arab News, May 1, 2004. Not to be confused with the late Abu Hafs al-Misri or Abu Hafs ‘the Mauritanian’. This article was first published in the December 15, 2004 issue of the Jamestown Foundation’s Terrorism Monitor.